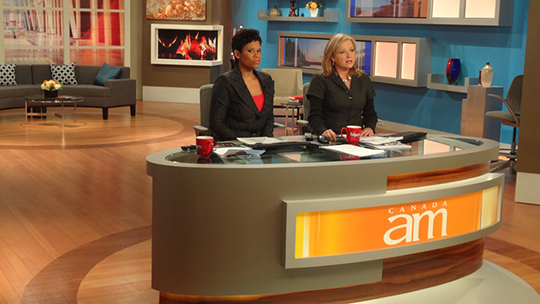 Just in time for its 40th season on air, CTV relaunched its flagship morning program “Canada AM” with a new set by AKA Creative Group Inc. 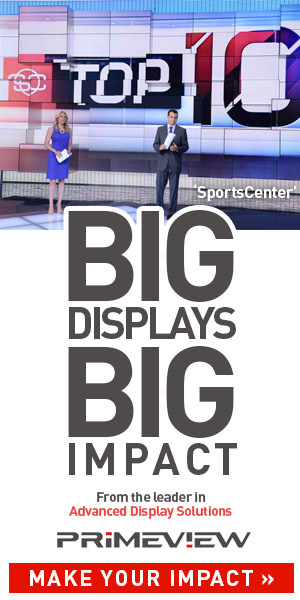 The set debuted this past January, installed during a short holiday break in the program. The program airs weekdays from 6-9 am and has the typically morning show segments, including news, weather, business and sports. 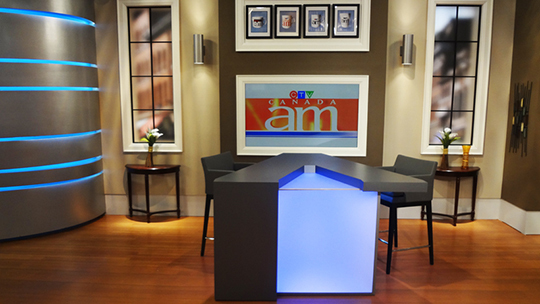 The set features five main areas: main anchor desk, weather center, media wall, one-on-one chat zone and sofa chat area with panel discussion desk. 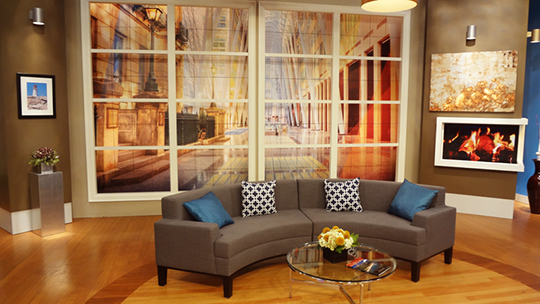 The set can easily be reconfigured during breaks to create a variety of shooting opportunities. “The set’s versatility offers directors a myriad of opportunities for host and guest interaction,” said a AKA statement. Using light woods, sleek metal and contemporary furniture, the set pops on screen. The set includes a media wall comprised of 8 Orion bezelless monitors. 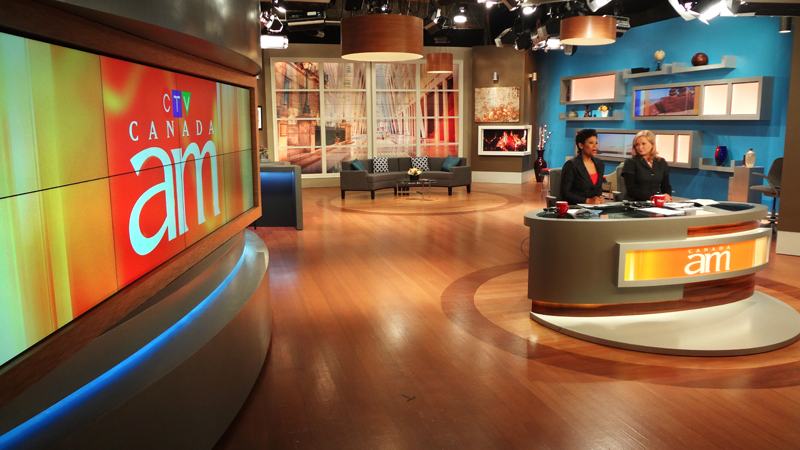 Overall, the set shoots great on air and has the morning feel, working for a variety of story types. A full gallery of images is on SetStudio.